Hallucinogens, also referred to as psychedelics, are drugs that alter ones state of mind, sense of time, and sense of place. There are numerous types of hallucinogens, with some of the most common being LSD, ecstasy, mescaline, and LMT. Hallucinogens alter one’s ability to relegate themselves to a particular time or place. They cause feelings of euphoria and excitability, although there is a myriad of ways one can respond to their use. For instance, wild mood swings are common, and some may report feeling several emotions at the same time. These may range from exhilaration to aggression, paranoia, and high energy. These sensations may cycle rapidly from one to another, or they may occur simultaneously or one after another over time. Some users feel removed from time and space, and senses may merge together to form unusual sensations. This is where the concept of “seeing sounds” or “hearing colors” comes from. In some cases, these feelings are unpleasant, with users not remembering who or where they are. They also may perceive others, or themselves, as moving very fast or slowly, or even changing shapes. The length of time a “high” lasts also varies depending on the person and the amount of the drug taken, along with the type of drug. Due to the effects that hallucinogens have, they have historically been used in religious rituals. The effects were confused with visions and mystical insight and people thought they were experiencing life on a higher spiritual plane, with the gods instead of mortals. Needless to say, this was not especially accurate. Some smaller religions and cults do still use hallucinogens for this purpose. But it isn’t just spirituality. Due to their effects hallucinogens have been popular with artists and writers throughout history who have tried to use their effects as a muse for their own work. During the 50’s and 60’s, there were a small number of studies that demonstrated that hallucinogenic properties can have potential use medically. There were a few examples of success treating addiction, anxiety, and obsessive-compulsive disorder. Trials stopped as soon as hallucinogens were made illegal. However, anyone considering self-medicating using them should also consider that the doses and drugs were prescribed by doctors, from a secure and safe source, with medical supervision to deal with any complications. Modern research has shown ayahuasca to have some success at helping people get over addictions, at least anecdotally. However, no large-scale research has followed up on this. That covers the historic use of this class of drug. Modern use follows the classic trends in why people take illegal drugs. Firstly, to self-medicate. Hallucinogens are popular as they alter people’s state of mind. If people are depressed, using hallucinogens to self-medicate can seem like a good idea. Secondly, to deal with stress. For similar reasons to those old religious rituals, hallucinogens can alter perspectives about life, the universe, and everything. Stress is a small challenge compared to that. Thirdly, curiosity. People are hard-wired to seek out new experiences. An out of body experience, smelling colors and tasting sounds can sound like that for people. Fourthly, and by far the most common in modern use, to have some fun. People take hallucinogens because they like the feeling, they like the patterns and it gives them a chance to relieve boredom. Understandably, hallucinogenic use increases during most holidays. Such celebrations often are related to a different set of stressors, involving family, often religion and other struggles. Even if these aren’t triggers, people can simply feel bored during the holidays. Yes, hallucinogenic drugs can be addictive. Hallucinogens alter a person’s state of mind and sense of time and place. The most common hallucinogenic drugs are LSD, ecstasy, mescaline, and LMT. The period of a “high” from these drugs depends on the drug type and amount of the substance consumed. Those suffering from an addiction to hallucinogens are urged to seek treatment immediately. What Are Common Hallucinogenic Drugs? LSD was first created in a lab in 1938 and first used by a person when the chemist accidentally ingested some of it. LSD is the most potent hallucinogen. It is odorless and water soluble. 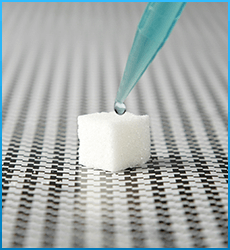 It is a clear or white and crystalline in its purest form, but defects in manufacturing can produce a coloured drug ranging from black to tan. Unconditionally of how it starts, it does start to lose its color rapidly when outside of lab conditions. Hence, it is often sold dyed a different color. LSD users typically feel its effects about 30-90 minutes after using and the effects last up to 12 hours. LSD users will experience physical effects (see below). LSD users quickly develop a high degree of tolerance to it and some other Hallucinogens exclusively. This tolerance appears to fade after a few days. The precise action mechanism for how LSD works is unclear. Lab studies suggest it mostly affects serotonin receptors in the cerebral cortex and locus coeruleus. 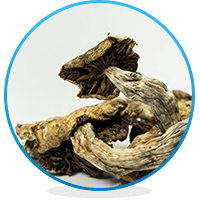 Psilocybin (Mushrooms) is a naturally occurring compound that is produced by about 200 separate species of mushroom. Images found in rock paintings suggest its use actually predates writing. The active mechanism affects the prefrontal cortex, consequently, many people regard time as being slowed down, or stopped completely. Much like LSD, tolerance to mushrooms builds up quickly, but also dissipates quickly if someone stops using them. Whilst there are no physical symptoms of their dependence, there may be some psychological effects. Both Dutch and British researchers regard mushrooms as the least harmful recreational drug. But that doesn’t mean the same as it being harmless. Peyote is a small cactus plant, translated from a Native American word meaning “Divine Messenger”. It’s used in that culture’s religious ceremonies. Additionally, it works as a general cure for many ailments including toothache, pain during childbirth, colds, fever, blindness, skin diseases and diabetes. It works similarly to Mescaline, targeting the peripheral nervous system and prefrontal cortex. Whilst it could not remove pain, it can distract someone from their pain. History does not record its efficacy in curing blindness or diabetes. DMT is produced in many species of plants. It is referred to as the “businessman’s trip” due to its short period of effect, lasting about 5-15 minutes. It is also the main ingredient in ayahuasca, a South American naturally occurring chemical cocktail traditionally drunk by Amazonian tribes. Despite its short effect, it can produce powerful hallucinations. It is unlikely to cause dependence, either physical or psychological. Mescaline was first isolated as the active ingredient in peyote in 1897, and first synthesized in lab conditions in 1918. Colours and shapes are particularly prominent in hallucinations. This was one of the main hallucinogens suggested for treating other addictions before it was made illegal. As it is the active ingredient in Peyote, it works by a similar method, mostly targeting the peripheral nervous system and the prefrontal cortex. It can also work with serotonin receptors. DXM is the active ingredient in over the counter cough syrup. At doses recommended for treating coughs (1/3 ounce), it does its job very well. At much higher doses (4 ounces or higher) it produces hallucinogenic effects. The effects of a high dose normally last over 6 hours. DXM works by acting as an NDMA antagonist. This means it affects sites in the brain which are responsible for the perception of pain, and have a role in both cognition, memory, and emotions. Physical effects may also take place when using hallucinogens. These may go unnoticed, but they are also the most dangerous of the effects. In some cases, negative psychological reactions occur. These are quite common, and are often referred to as “bad trips.” Feelings of fear, confusion, and dread may come upon the user out of nowhere. These feelings may last a few minutes or several hours. In some cases, these trips are terrifying and psychologically damaging. During a “trip” users may become aggressive or lash out. They may also become withdrawn and reclusive or have difficulty verbalizing what is happening. In some cases, these psychological effects last beyond the end of the drug cycle. Confusion and fear may persist. This is known as hallucinogen persisting perception disorder (HPPD). Users may continue to have feelings of confusion and distorted reality long after the trip has ended without having to take any more of the drug. In rare events, this condition may last for years after the drug use. Sometimes it can be hard to know for sure if a loved one is using drugs. While hallucinogen use can be relatively obvious at times, other times the effects may go unnoticed for a while, especially when the person isn’t high. Some research suggests that over time, heavy users may have a decrease in cognitive function. This may be more prevalent in young people because their brains often haven’t fully developed yet. Symptoms may include forgetfulness, slow reactions, confusion, and lowered attention span. It is not yet known whether these symptoms are permanent. Physical changes – Hallucinogenic users may become less concerned with personal hygiene. They may display frequent tremors or shakiness. They may also begin speaking deliriously, and/or display extreme disorientation. Sweating may also be present. Behavioral changes – Those who are on hallucinogens may act or speak strangely. They may seem confused and disoriented. They may even seem paranoid, or mentally ill. They may even behave aggressively, lash out, or seem afraid even when no danger is present. In some cases, normally upbeat and outgoing people may become withdrawn. These changes may last beyond being “high” and become more permanent personality changes between drug uses. Financial Issues – Drug users may frequently ask for money, even if they have no reasonable explanation for why it’s needed or how it will be used. In some cases, they may steal money and other valuables, even from loved ones. Hallucinogens are commonly used in combination with other drugs or alcohol. While there is a wide range of users, certain groups are more likely to abuse these drugs than others. Those who suffer from co-occurring disorders, such as depression or anxiety, are more likely to use drugs than those who don’t. Veterans, who have often been through traumatic events during deployment, are more likely to suffer from these disorders, as well as post-traumatic stress disorder. They may attempt to self-medicate as a result, and hallucinogens are a popular choice for many. Young adults and teens are more likely to use many drugs. This can be due to peer pressure, as an attempt to reduce stress or depression, or simply out of curiosity and a teen’s “invincible” frame of mind. Drugs are also commonly used and widely available at parties and clubs where young adults frequent. Those in certain career fields may also be more likely to abuse drugs and alcohol than others. How common is hallucinogen addiction in the U.S.? More than 13.5% of all U.S. high school seniors have reported experimenting with LSD at least once in their lives by 1997. In 2008, around 3.1 million people aged 12-25 years old reported using LSD. The lowest number of high school senior users was reported at 7.2% in 1986. Over 13 and a half percent of all US seniors had reported experimenting with LSD at least once in their lives by 1997. Approximately 3.1 million people in the United States 12 years of age through 25 years of age reported LSD use in 2008. In 1986, the lowest number of high school senior users was reported at 7.2%. Treatment for hallucinogen use is a long process. The first step is recognizing that a problem exists. Trained drug abuse counselors are available to help users navigate the path to getting clean and sober. Some may benefit from doing an outpatient program with a therapist, but in most cases, an inpatient facility is the best option for those with a severe addiction. Those who attend inpatient programs are less likely to relapse than those who attend outpatient counseling sessions from the start.